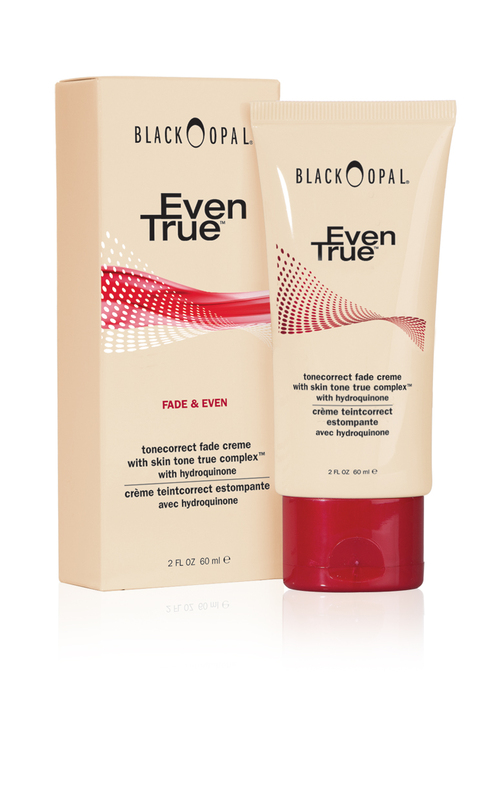 Black Opal Even True Tonecorrect Fade Creme Discover the solution to renewing skin’s natural radiance. Scientifically advanced formula featuring Skin Tone True Complex™ delivery system, a proprietary blend of Hydroquinone, brightening peptides, natural citrus extracts and skin-conditioning natural ingredients, effectively corrects hyperpigmentation, fades dark spots, and diminishes marks from past acne scars restoring skin’s even tone and natural radiance in as little as 14 days. USAGE:In the morning, apply over the entire face. Follow with Nutritive Skin Moisturizer Broad Spectrum SPF15. Always use broad spectrum sunscreen of at least SPF 15 during the day when using a fade regimen.